Perennials vs. Annuals: What's the Difference? Annuals and perennials offer gardeners different sets of benefits. 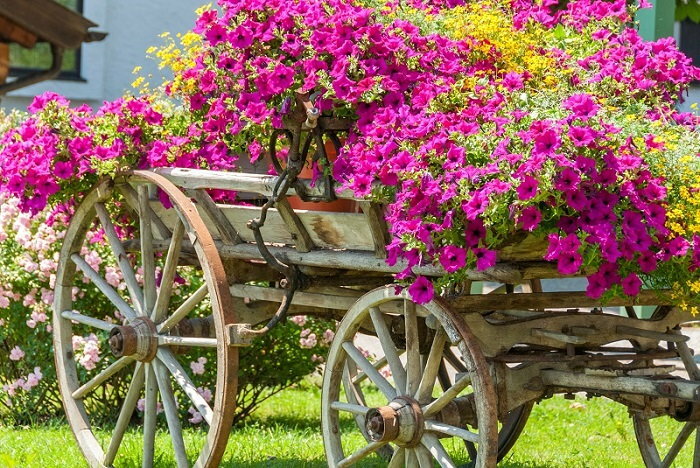 Here's how to use both to beautify your garden. Anytime I visit my local plant nursery, rows upon rows of annuals and perennials tempt me with their promises of blooms, shrubs, and produce. Annuals and perennials each have their own set of advantages, but have you ever stopped to think about what those advantages mean for your garden? Simply put, annuals tend to live for a year before permanently dying, whereas perennials grow back year after year. This basic definition can become a little complicated in colder climates, where some “annuals” are actually perennials and vice versa. Nonetheless, perennials tend to be longer-term investments—you'll occasionally see this reflected in their price tags. The best type of plant for you will, of course, depend entirely on your garden, but there are a few things that can help you decide which kind to cultivate. As mentioned earlier, annuals and perennials are named after their life cycles. An annual plant goes through its entire life cycle, including growth, flower and seed production, and death, in the course of a single growing season. After an annual plant dies, it leaves dormant seeds behind to create future generations. Perennials, on the other hand, can live for several growing seasons. The tops of these plants may die off during the winter, but their roots remain alive and well, waiting for the next year. On paper, perennials often sound like the better deal. However, there are a few other factors to consider before deciding on a plant type. 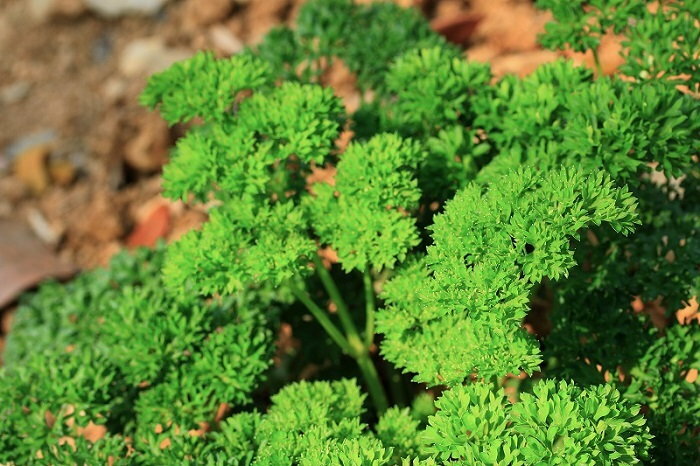 Growing annuals can be a great way to take gardening one year at a time. Most vegetables are annuals, and there more than enough varieties of annual flowers to make your raised beds and window boxes pop. In established gardens, annuals provide a chance to experiment with new shades and colors. If they don't fit in with your layout or color scheme, you can simply replace them the following year. Seasoned gardeners will also want to use annuals to temporarily fill in the bare spots in their yards. Annuals are particularly convenient for renters, container gardeners, and anyone else who loves gardening but is unsure of where they will be living in the coming year. You'll be able to grow a full garden of annuals without worrying about having to dig them up or leave them behind later on. Permanence, on the other hand, has its own perks. Perennials may not last forever, but they make up many of our favorite garden plants, including roses, asters, poppies, peonies, hostas, and several kinds of herbs and shrubs. All these plants grow back year after year. 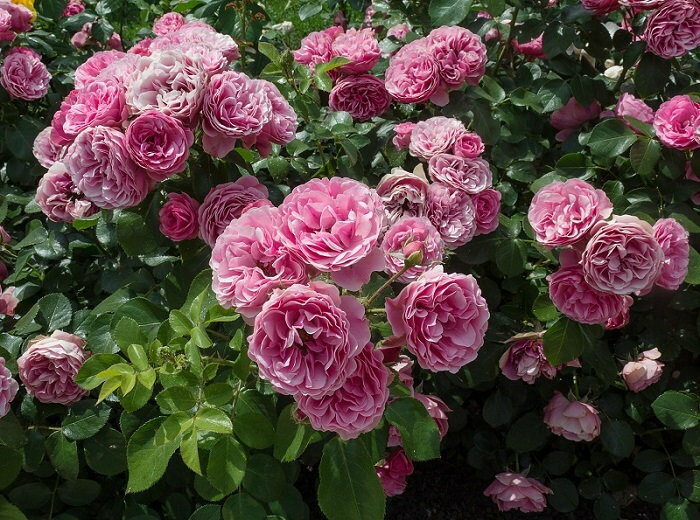 Their extended life cycles not only save us the effort of replanting but also allow us to shape and groom our gardens over the years, as anyone who has ever tried to train a rose bush will tell you. Perennials' one-time price tag is another important advantage to consider. 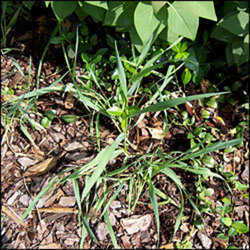 In some cases, you'll even be able to divide your perennials up as they grow and plant them all around your garden. Before purchasing, you should also keep in mind that perennials take much longer to establish themselves than annuals, especially if you're starting from seed. You might have to wait an additional season or two before seeing any blooms. Native perennials, or perennial plants that are native to your region, offer the additional advantage of creating a beneficial habitat for local wildlife. Beneficial insects and animals depend on native perennials for food and shelter, and their presence in your garden will help attract pollinators and deter pests. 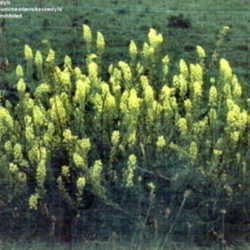 These plants also tend to require less water and maintenance, as they are already adapted to the surrounding climate. This can be especially advantageous for those who live in drought-ridden areas and want to reduce their water consumption. As if these two options didn't have enough pros and cons to weigh, there is a third plant category to consider: the biennials. These plants take two years to complete their growth cycle before dying. 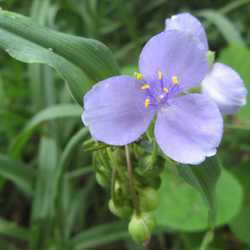 Usually, biennials do not bloom until their second year. A lot of gardeners never choose to work exclusively with annuals or perennials. To achieve a well-rounded garden, many people work with both kinds of plants. Annuals are perfect for providing splashes of color while your perennials are establishing themselves. Once they have reached maturity, perennials give gardeners an easy way to permanently fill in any bare patches of soil. I enjoy growing annuals from seed in the winter. It appeases my inner gardener and gives me something to do indoors when it's still bitterly cold outside. Shopping for annual seeds will give you an excuse to skim through mountains of gardening magazines, so be careful not to blow your budget!